It's getting late in the season for any runners to surpass the 130 ratings registered by a pair of horses who, as of Thursday, are now tied atop the World's Best Racehorse rankings. So the committee could have a tough decision ahead in determining a winner. 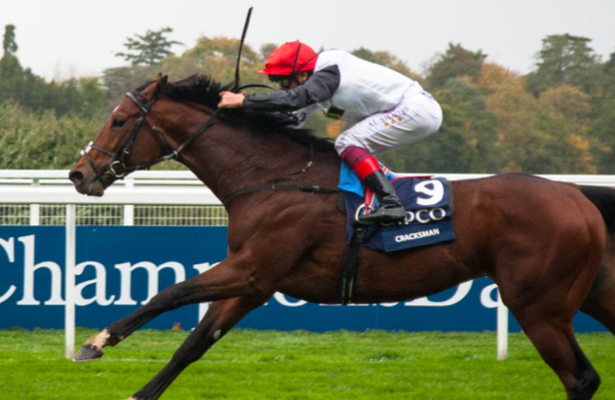 In his final career race, Cracksman ran the competition off its feet in winning the Champion Stakes (G1) last out at Ascot, with the performance marking a five-point improvement from his previous season-best. Winx, meanwhile, won her 29th straight race in the Cox Plate (G1) at Moonee Valley, but her rating assigned by an International Federation of Horseracing Authorities did not change as a result. The World's Best Racehorse award is based not on a full season body of work but rather a single top effort in top graded or group stakes around the globe. In Thursday's new release, little changed behind Cracksman with Gun Runner still next at 128 for his career finale in the Pegasus World Cup. Poet's Word and Roaring Lion are still next with 127s. Behind them, Beauty Generation, a winner on Hong Kong, improved his rating three points to 126 with a victory in the Sha Tin Trophy (G2) to tie Accelerate's Pacific Classic (G1) score. Breeders' Cup Turf winner Enable remained at 125. United States-based horses have won the last three editions of this award, with American Pharoah (2015) followed by Arrogate (2016, 2017).